It's official. 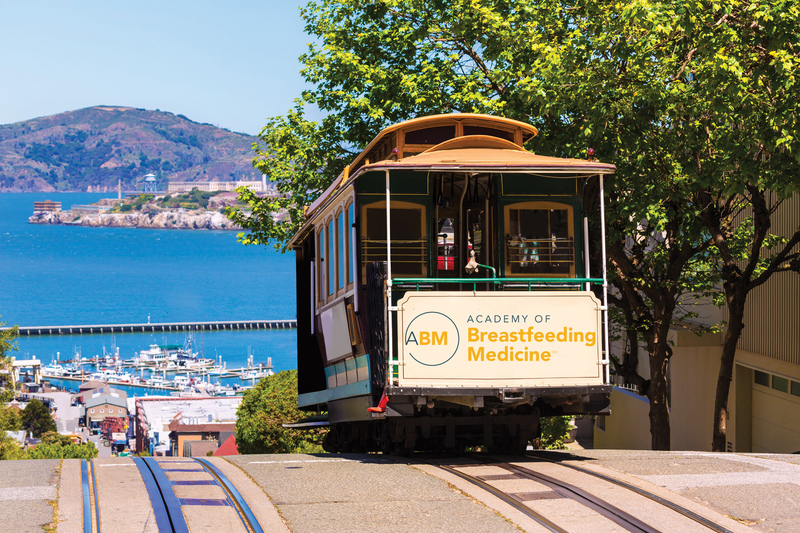 Registration is now open for the Academy of Breastfeeding Medicine's 23rd Annual International Meeting, November 14-17, 2018, in San Francisco. This year's meeting will feature world-class speakers providing cutting-edge research and clinical information on current issues in breastfeeding medicine, spanning both maternal and child health. Register online and take advantage of 2017 (!) rates if you register by August 1st. Check out our BROCHURE to find the agenda and additional meeting information. Please note, the All-Conference Meeting is open to all health professionals including physicians, nurses, lactation consultants, midwives, and others. This year's Meeting will feature the 13th Annual Founders' Lecture by Lars Bode, PhD: "Human Milk Oligosaccharides: Every Baby Needs a Sugar Mama” on Friday, November16. The one-day pre-conference course, “What Every Physician Needs to Know About Breastfeeding (WEPNTK)” will once again be offered to all health professionals (Wednesday, November 14). Also, on the same day, an advanced full-day course, “What Every Physician Needs to Know About Breastfeeding II (WEPNTK II)” will again be offered to physicians who have previously completed WEPNTK. Don't miss out on the most important breastfeeding medicine event of the year. To take advantage of the membership discount for the Annual Meeting, RENEW your ABM membership or JOIN ABM as a new member. Can't attend? Contribute to one of our Donor Opportunities. Though you may not be able to attend our Meeting this year, we hope that you will still support our mission by making a contribution to ABM. As a thank you, we will recognize your generosity in the final program and in our official peer-reviewed journal, Breastfeeding Medicine. Network with physician colleagues worldwide • Develop your knowledge of the science of breastfeeding and human lactation • Increase breastfeeding incidence and duration • Promote greater public interest and understanding of breastfeeding • Improve the health and well-being of mothers and babies around the world!